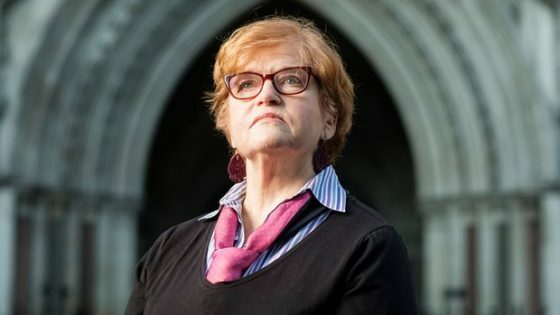 Deborah E. Lipstadt, a professor of modern Jewish history at Emory University, is perhaps best known for the libel suit filed against her, in the United Kingdom, by the Holocaust denier David Irving. Lipstadt won the case in 2000. She went on to write a book about it, “History on Trial,” which was the basis of the 2016 film “Denial,” starring Rachel Weisz as Lipstadt. In Lipstadt’s latest book, “Antisemitism: Here and Now,” she examines the recent rise in anti-Semitism in the U.S., the U.K., and Europe. There has been a sharp uptick in hate crimes against Jews, and prominent politicians and heads of state, including Donald Trump and Hungary’s Viktor Orbán, have wooed voters with anti-Semitism (and, perhaps, just expressed their honest opinions). I recently spoke with Lipstadt by phone. During our conversation, which has been edited and condensed for clarity, we discussed the differences between right-wing and left-wing anti-Semitism, why Israeli leaders are willing to make alliances with anti-Semites, and whether “the negation of Jewish nationhood” is always anti-Semitic. What, if anything, is different about today’s anti-Semitism? On some level, it is the same old, same old. The construct is the same, the stereotypes are the same. But I think what is different today is that we’re seeing a perfect storm, in that usually it comes from either the right or the left politically. Today we’re seeing it from the political right and the political left, and we are seeing it particularly—not only, but particularly—in Europe from Islamist extremists, or jihadists, or whatever term you’d like to use. The other element that makes today different is that we’re living at a time when there are a number of heads of state, and not just our own, who have created an atmosphere which gives comfort to the people who engage in this kind of thing. Whether you’re talking about Viktor Orbán, in Hungary, or the leaders of the P.I.S. Party, in Poland, or the A.F.D., in Germany. The groups you listed are all right-wing. Do you think it’s worth distinguishing between right-wing and left-wing anti-Semitism, or do you think that they’re arising from similar things, and it’s more helpful to think of them together? No, we’re not talking about completely different phenomena. They’re the same because they rely on the same stereotypical elements. I know it when I see it. Now, that’s not a sufficient definition, but it’s that way with anti-Semitism. I know it when I see it because these are the elements that are there—something to do with money, something to do with finance, that Jews will do anything and everything, irrespective of whom it harms or displaces or burdens. Both the right and the left share those kinds of stereotypes. And they also do come from people who feel that somehow things are changing and we’ve got to find someone to blame it on. Were they to blame them on the bicycle riders, everyone would look at them and say, “You’re nuts.” But, whether it’s loss of jobs, whether it’s globalization, whatever it might be, if you blame it on a familiar figure, that makes sense. Europe and the United States have taken different tacks in the postwar era on hate speech and anti-Semitism, with some European countries making Holocaust denial illegal. And yet we are seeing a rise of this stuff in both the U.S. and Europe. What do you think about the virtues of each approach? I still am a firm opponent of laws against Holocaust denial. First of all, I’m a pretty fierce advocate of the First Amendment. Having been sued for libel, and having had that in my life for about six years, I’m more than ever. Even though libel is not covered by the First Amendment, [David Irving] wouldn’t have been able to sue me in this country because he was a public figure. But I also don’t think that these laws are efficacious. Forget the morality—I don’t think they work. I think they turn whatever is being outlawed into forbidden fruit. We saw it in Germany, when “Mein Kampf” was released from the embargo on it a few years ago. People bought it because suddenly it was something they could get ahold of. I just don’t think these laws work. And the third reason I’m opposed to them is I don’t want politicians making a decision on what can and cannot be said. That scares me enormously. In the book, you write, “The negation of Jewish nationhood is a form of anti-Semitism, if not in intent, then certainly in effect.” Why do you think this is the case? And by “Jewish nationhood” do you mean a state where Jews are a majority, or do you mean a religious state, or both? No, I certainly don’t mean a religious state. I mean a state where Jews are, as long as they maintain it, a majority, that they . . . You know, it would never be an artificial majority, in other words. “Uh-oh, those other people are multiplying too fast, get rid of them”—never that. But both a democratic state and, it is to be hoped, a state in which Jews are a majority, where the state acknowledges its identity as a Jewish state while giving all minority groups within that state full and equal rights and equal protection. No rights by sufferance or rights by kindness. Rights by rights. And it’s a tricky thing. I am very much a believer that Jews have a legitimate right to a state, and they have to maintain that state, and that state has to be a democratic state. I acknowledge that—what is it, “foolish consistency is a hobgoblin of small minds and politicians”?—that if someone was opposed to a Jewish state in 1944, in 1945, I wouldn’t have said, “Oh, that’s anti-Semitic.” Never, because that was not the vision in the Jewish community, and there was a real debate. Immediately after the war, there was a consensus in the Jewish community that the Jews should have a state. That consensus came about very quickly when people realized what happened. But [before that] there were Jews who didn’t believe there should be a Jewish state. But today we’re talking about a state with six million Jews in it. We’re talking about a functioning, existing state. And to people who say, “Well, it shouldn’t be there, it should be done away with, it should be eliminated”—first of all, on a practical level, where are these people going to go? Don’t tell me about a Muslim state with a large Jewish minority, either a one-state solution or Jews going into a neighboring Muslim state, because there is no place that I look, certainly in the Arab world, and even in the non-Arab world, where you see states with religious minorities that live in safety and in peace and are thriving. Say that a person said, “Look, I want Jews to be part of the State of Israel, but I think Israel should extend the vote to people in the West Bank and Gaza, and together they should form a democratic state.” I don’t know if that’s the right idea or the wrong idea, but I don’t think that it should be considered anti-Semitic, or that it’s necessarily anti-Semitic in effect. No, I agree with you. That’s why I think the continued holding of the West Bank is problematic, because if you’re going to have a democratic state then you can’t have a whole population within that state who are not full-fledged citizens and don’t have the right to vote. It’s a time bomb. You can criticize Israeli policies. I often say, “If you want to read criticism of Israeli policies, just start your day by going to Haaretz.com—you’ll read criticism of Israeli policies from A to Z.” That’s not anti-Semitism. And I do think there are many Jews—particularly living outside of Israel, but also many in Israel—who mix that up and who, as soon as someone criticizes those policies, tend to fall back on “That’s anti-Semitism.” I think that’s dangerous, because it diminishes real anti-Semitism. And it’s just wrong. You write, “Many anti-Israel advocates contend that the fact that Israel is a country with an established state religion renders it archaic, and this justifies its dissolution. They are strangely silent on the validity of the nondemocratic Islamic theocracies in the same neighborhood. And the fact that Great Britain, Denmark, Greece, and Monaco have official state religions doesn’t seem to bother them, either.” Without commenting on what bothers these unnamed advocates, what if I say that I think that religious states are archaic, and I think that Islamic theocracies are bad, and I think it’s silly that Great Britain and Denmark have official state religions? There’s nothing wrong with that. Nothing at all. That’s why I’m just wondering about whether the thing is anti-Semitic in effect. It’s anti-Semitic if you get the singling out. If the only state I’m criticizing for being a theocracy is Israel, then something is very wrong, because every other state in that region is a theocracy. Look, we’ve had two or three stories this past week of the young Saudi woman who barricaded herself in the hotel in Thailand, of another Saudi woman who was in jail—who lived in the U.A.E., and the Saudis took her out of there and brought her back to Saudi Arabia. And there’s no attention to that. Wait, wait, wait. Everything you just mentioned was a national story. The killing of Jamal Khashoggi was an international story. And not just that, but a lot of people who do not like the State of Israel, especially people on the left, have been making a big deal of these stories about the Saudis, who are an American ally. And the people who are the most defensive of the Saudi regime are, one, the Trump White House, which is the most pro-Israel Administration we’ve ever had, and, two, the government of Israel, which definitely does not want anyone to crack down on the Saudi regime. You’re absolutely right. They are complicated. And your critique of what I said is valid. In fact, if you noticed in the book, I’m critical of Netanyahu and his cavorting with Orbán, or his making compromises with the Poles. Having Likud representatives meet with the Austrian parties that have a neo-Nazi, Holocaust-denial root—I think it raises serious questions about Israel’s claim to be the guardian of Jewish rights worldwide. You write, “I often hear the argument that the BDS movement can’t be considered antisemitic because many of its supporters are Jews. And just as often, I hear the counter-argument that these people are simply ‘self-hating’ Jews—a term that I find unhelpful and inaccurate. It is sadly true that one of the most pernicious results of prejudice is when members of a persecuted group accept the ugly stereotypes used to characterize them.” Are you saying that, if Jews are in favor of B.D.S. [Boycott, Divestment, and Sanctions], they are adopting ugly stereotypes? No, no, no—not at all. I spent a lot of time on different campuses, and there are B.D.S. supporters who can’t find Israel on a map. There are B.D.S. supporters who think that, just like their parents’ or their grandparents’ generation fought apartheid with boycotts and sanctions, this is a way of improving life for a group of people that they see as oppressed and as suffering. But I do think that the B.D.S. movement, at its heart—when you see what is really behind it, and the people who have organized it—is intent on the destruction of the State of Israel. If you look at the founding documents of the groups that first proposed B.D.S., they called for a full right of return, and, essentially, in practical terms, they’re calling for the destruction of the State of Israel. I think the ultimate objective of B.D.S. is not B.D.S. itself. If that were the case, we would all have to give up our iPhones, because so much of that technology is created in Israel. I think the objective of B.D.S., and especially the people who are the main organizers and supporters, is to make anything that comes out of Israel toxic, and I think they have had some success. So I see that, but I do not think that any kid who supports B.D.S. is ipso facto an anti-Semite. I think that’s wrong. It’s a mistake. And it’s not helpful. There’s a rise in anti-Semitism and, at the same time, you have a lot of young Jews who have a different take on Israel than their parents’ generation. Why do you think that is? I think the parents’ generation remembers a weaker, much more vulnerable Israel. And that makes a difference. I think there’s also been a drumbeat of criticism—a lot of it justified, but certainly not all of it justified—that has impacted younger people. And I also think, especially talking about students, that we all know that the dominant political outlook on virtually any campus is a progressive liberal one. For progressives—certainly this applies with Corbyn, it applies with some of the younger new members of Congress—their view of the world is refracted through a prism that is either ethnic- or class-based, or both. And they look at Jews and they see white people, even though, ironically, the far right looks at Jews and doesn’t see white people. They see white people with power, white people with privilege, and they say, “Well, those people can’t be suffering. Those people can’t be victims of prejudice. And I, as a progressive . . . ” You know, this is Jeremy Corbyn speaking, “I absorbed progressive values with my mother’s milk. So I could never be prejudiced, therefore these people must be claiming that they are victims of prejudice for all the wrong reasons. There must be an ulterior motive.” And that ulterior motive often goes back to Israel—“They’re just trying to defend Israel.” Even if the thing has nothing to do with Israel. Or Alice Walker, when she’s criticized for promoting a book that even the nuts reject, it’s so off the wall—you know, a lizard people control the world, and they’re Jews—she comes back saying, “Oh, they’re just trying to silence me and the author because we are pro-Palestinian.” So that becomes a defensive mode that you see on the left that is very disturbing. If someone like Jeremy Corbyn became the Prime Minister of England, what would be your concern about how what you view as his feelings about Jews might manifest themselves in power? It’s a great question. I think we could well see something similar to what was seen on the right, where it becomes the dog whistle—the wink, wink, the nod, nod—to those on the left that it’s O.K. to engage in forms of anti-Semitism, that it’s O.K. to not trust someone who says something if they’re a Jew, it’s O.K. to discriminate, it’s O.K. to identify someone with whom you disagree. I don’t worry that there would suddenly be a rash of attacks on Jews. It’s a worry about when Jews begin to feel, I’m disengaging from the process. I’m not going to openly show my Jewish identity. And what do you think the long-term threat to Jews and Judaism is, not specifically from the rise of right-wing anti-Semitism but from the willingness of at least the current Israeli government to get close to it, or euphemize it? I think that it’s dangerous. First of all, it’s dangerous to real people. There’s a very large Jewish community in Hungary—I’m forgetting what the exact number is, but it certainly is the largest in Eastern Europe—that is very worried about its security, very worried about its future, very worried about its ability to openly express its Jewish identity. And the Poles want to rewrite the history of what happened in that country. There were many Poles who rescued Jews, but there were far more who collaborated. And, the minute you start rewriting history, it’s a dangerous slope. And the Polish government now wants to control who’s going to train the guides at Auschwitz. For the current Israeli government, it’s a short-term gain, but it’s a very long-term loss. On a lighter note, you were played in “Denial” by Rachel Weisz, who’s married to Daniel Craig. And, as one of the world’s great self-proclaimed James Bond experts, I want to ask if you have anything to weigh in about meeting Daniel Craig. Not about meeting Daniel Craig. I had a wonderful conversation with him. He’s a very nice guy. And I was thrilled—not to turn Rachel Weisz into Mrs. Daniel Craig, but she’s proudly that. I was very, very honored to be portrayed by this great actress. I like to define everyone by their relationship to Daniel Craig, so it’s not just Rachel Weisz. I have on my iPad a little app called Recording, or something. I put it there because Rachel would call me and leave a message. She would say, “Deborah, record for me this phrase. How do you say ‘law courts’? How do you say ‘goodnight’? How do you say ‘I’ll see you’? Say it five times, so I can get your tone.” I spent time with her before talking about the trial, talking about the book, talking about my experience. She wanted to get it right. She’s what I like to call a professional’s professional, and I was really exceptionally gratified that she portrayed me.